The Fund for Lake Michigan is supporting Gathering Waters’ project to further engage land trusts within the Lake Michigan Basin to improve water quality. 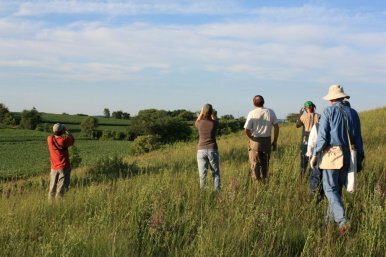 Although they are some of the most well-established conservation groups that work at the local level in Wisconsin, few land trusts have actively engaged in projects focused on improving water quality. Gathering Waters will therefore explore opportunities and options to best leverage the strength of land trusts and make a measurable impact on our water resources. As part of this project, Gathering Waters will facilitate meetings and work groups, connect land trusts to key partners in the water community, and provide training and support tools.